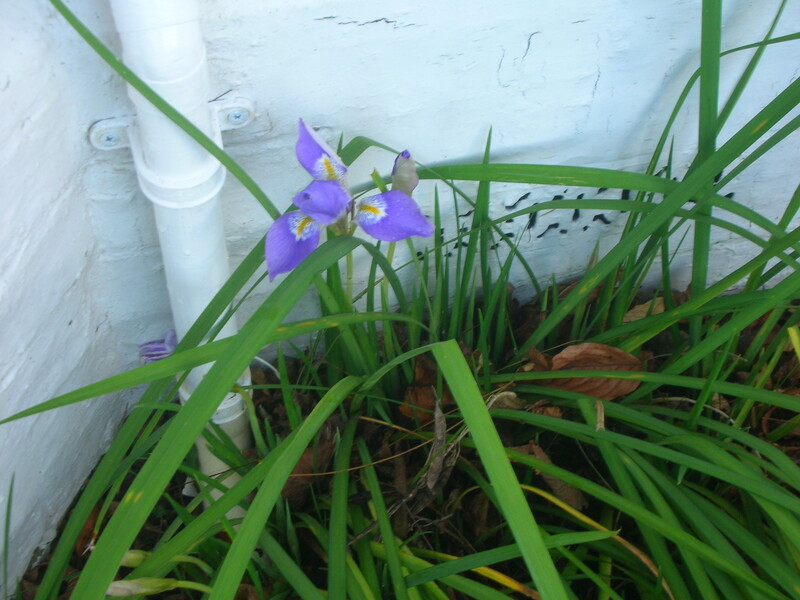 Another faithful winter companion is the Iris stylosa my mother gave me so many years ago. Once this starts, there is always at least one open flower all through the winter. I know I will be able to go out on Christmas day and bring in a fresh bloom. This entry was posted in Gardens and tagged Azalea, flowers, Iris stylosa, winter blooms by hilarycustancegreen. Bookmark the permalink. Beautiful flowers in a beautiful vase to match, like a well dressed lady. 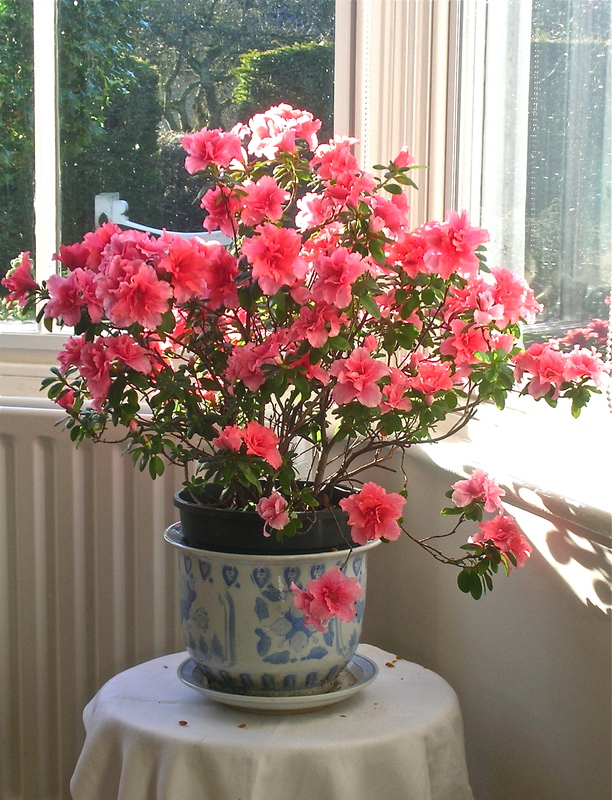 The vase came from my parents-in-law and seemed to be made for the azalea, though I fear it is outgrowing this now. And ours to you. We are already enjoying ourselves.